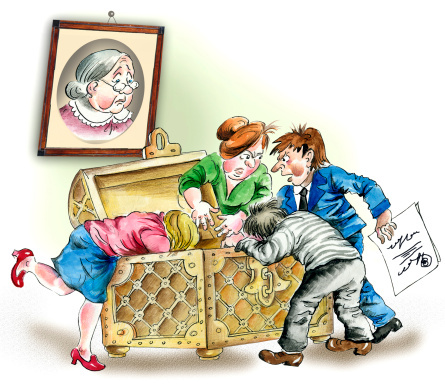 How do you solve a problem like intestacy? Intestacy is the state of affairs where a person dies without disposing of their assets on death. Determining who inherits a person’s assets on their death, where there is not a will or equivalent can be difficult and time consuming. It is helped by having a formula to identify the relevant issues. The first question is: did the deceased leave a validly drawn will, or its equivalent, which disposed of all of the deceased’s assets? The question is couched in these terms, partly in memory of Peter Brock. Brock left a document which was treated a equivalent to his will. It appointed an executor but did not dispose of any of his assets. His assets were therefore distributed on intestacy although he had a valid will, or equivalent at his death. The second question is: what was the date of death? This question is important because, together with the answer to the next three questions, it allows identification of the relevant legislation. In this context, it is important to recall that the inheritance laws have changed over the years. The current NSW law, set out in Chapter 4 Succession Act, only applies to deaths to which NSW laws apply and which occurred on or after 1 March 2010. Determining the date of death is not always easy. For instance, with Malaysia Airlines flight MH370, it left Kuala Lumpur International Airport around midnight on 7-8 March 2014. The plane hasn’t been heard of since, although parts of the plane have been found. In Re Paul Allan Weeks; ex parte Weeks  WASC 25, the court observed that all those aboard must be presumed to be dead. But there was no finding as to the date of death. The common law presumes death where a person is missing for seven years and has not been heard from by those who would, in the normal course of events, be expected to hear from him or her if he/she was alive. This principle of law was applied in In the Estate of Arthur Aitchison Thomson  QSC 29. Arthur Thomson died in 2006. The executor needed to determine the beneficiary of his estate. Thomson had been married but his wife was last known to be alive in 1999. Following a coronial enquiry in 2007, she was declared dead. The Supreme Court of Queensland applied the common law and determined that Mrs Aitchison was presumed to be dead. However, it remarked that there is no presumption as to the date of death. It is up to a party proposing a presumed death by a specified date to establish that fact by admissible evidence. Accordingly, as the evidence did not establish a date of death, the wife was presumed to be alive at the date of her husband’s death. Arthur’s property therefore passed to his wife on his death and her beneficiaries then inherited through her presumed estate. The third question is: what type of asset did the deceased own at death? For the purposes of determining the inheritance of assets on an intestacy, assets are characterised as moveable or immoveable. Determining the nature of the asset is important because the inheritance on intestacy of an immoveable asset (such as land) is determined by the law of the place where the immoveable asset is located. If it is a moveable asset, it is determined by the law of the deceased’s domicile at death. The fourth and fifth questions follow from the answer to this question – they only arise if the answer to this question discloses an asset of the relevant type. The fourth question is: what is the location of the deceased’s immoveable assets? The meaninglessness of any law, other than the law where the land is situated, in determining the ownership of overseas real estate was shown in Noel Mockett Brown as executor of the estate of the late Petar Vezmar (aka Peter Vezmar)  NSWSC 1470 where there was a will (and therefore the opportunity for the testator/landowner to give some advance thinking to the issue of the transfer of the real estate on death). The disposition of the Serbian land in the Will was contrary to Serbian law and therefore ineffective. What was the deceased’s last domicile? The fifth question is: what was the deceased’s domicile at death? Everyone has a domicile of origin. Some people have one or more later domicile/s of choice. It is a person’s last domicile which is important in this context. However, ascertaining domicile is not always an easy task. Take the example of Milind Bedake. He was born in India. At the age of 25 he came to live permanently in Australia. Whilst living in the ACT he suffered severe head injuries in a car accident. After a year he returned to live in India where he resided for seven years until his death in 2010. He died intestate. He left an estate in ACT which consisted of moveable property. The ACT Supreme Court was asked to decide Bedake’s domicile at death, as the law of domicile determined the distribution of his moveable estate. Whilst India was his domicile of origin and Australia his first domicile of choice, the issue of final domicile was complicated by the deceased’s loss of capacity following the car accident. In the Estate of Milind Bedake  ACTSC 267 decided that it was more likely than not that the deceased remained unable to form an intention to change his place of domicile after he suffered the head injuries, that a guardian cannot change a person’s domicile, and that at the date of his death the deceased’s domicile therefore remained in the ACT notwithstanding his physical presence in India for many years. Another recent example is The Estate of the Late Akos Balazs Melegh  NSWSC 249. This involved the domicile of Akos Meleigh who migrated to Australia from Hungary in 2002. However these examples will give the wrong impression if it is thought that domicile is only an issue for a person born overseas. I will therefore also highlight the situation with Evelyn Dempsey’estate. When she died in England in 1982, Dempsey was intestate in relation to one half of the residue of her estate. As discussed above, inheritance of the moveable property in that estate depended on her domicile at her death. The potential beneficiaries were her cousins, if she was domiciled in Queensland, or bona vacantia, if domiciled in NSW or the UK: Application of Perpetual Trustee Company Ltd; Re: Estate of the late Evelyn Mary Dempsey  NSWSC 159. The sixth question is: What legislation applies to determine the beneficiaries? Having identified the date of death (Q2) and the type of assets owned by the deceased at death (Q 3 to 5), the relevant legislation can be identified. As mentioned above, the current NSW legislation, Chapter 4 of the Succession Act, only applies to deaths for which NSW law applies and which occurred on or after 1 March 2010. The previous law would therefore apply to Evelyn Dempsey’s beneficiaries if she is found to have been domiciled in NSW at her death in 1982. This issue focuses on whether the deceased married, was living in a de facto relationship at death, had had children and the like. This process can only be undertaken once the relevant legislation is decided. That legislation specifies the possible beneficiaries and their order of inheritance. Working through that order can be very time consuming. Take the case of NSW Trustee & Guardian; Estate of the Late Jan Szczudlik  NSWSC 1529. Jan Szczudlik died on 16 January 1992. Twenty three years later, on 15 October 2015, the Supreme Court made orders enabling the administrator to distribute his estate. Why did it take so long? Jan died without a will. Although he was domiciled in NSW at his death, he had been born in Poland. He had also lived in Germany, Italy and Victoria. The administrator, NSW Trustee and Guardian, had to enquire into whether Jan had ever married or had children. That meant enquiries in each of those jurisdictions. Once it was satisfied that that probably hadn’t happened, it had to establish the death of Jan’s parents. It had to establish whether he had siblings, whether they were living and, for those who had died before Jan, whether the siblings had children. Other issues may also need to be resolved to determine the beneficiaries of an intestate estate. One of these extra issues is the order of death, which is referred to at 2 above. But the first six questions will be sufficient for most intestate estates, and will be a good start for all others. For the purpose of this discussion it is assumed that the deceased owned assets at death. I am a facilitator of the Law Society’s online course on Wills and Probate. The course contains a number of modules ranging from preparing wills and powers of attorney to making application for a grant of probate, and then administering and distributing the estate. The module which gives the greatest difficulty to the solicitors undertaking the course is the one on intestacy. I am constantly stressing that determining the correct beneficiaries of an intestate estate requires a systematic process of fact finding, essentially in the order stated in this article. Estate of Peter Geoffrey Brock; Chambers v Dowker; Dowker v Chambers  VSC 415. I’m a Councillor of the Law Society of NSW. I Chair of the Law Society’s Ethics Committee. I’m Deputy Chair of the Elder Law and Succession Committee. I’m a member of the Specialist Accreditation Board, the Future Committee and the Nominations Committee, the Working Group on Future Prospects for Young Graduates and the Working Group on Elder Abuse. I’m also a member of the LCA’s Elder Law and Succession Committee and its Working Group on Elder Abuse. The statements made in this article are my own.